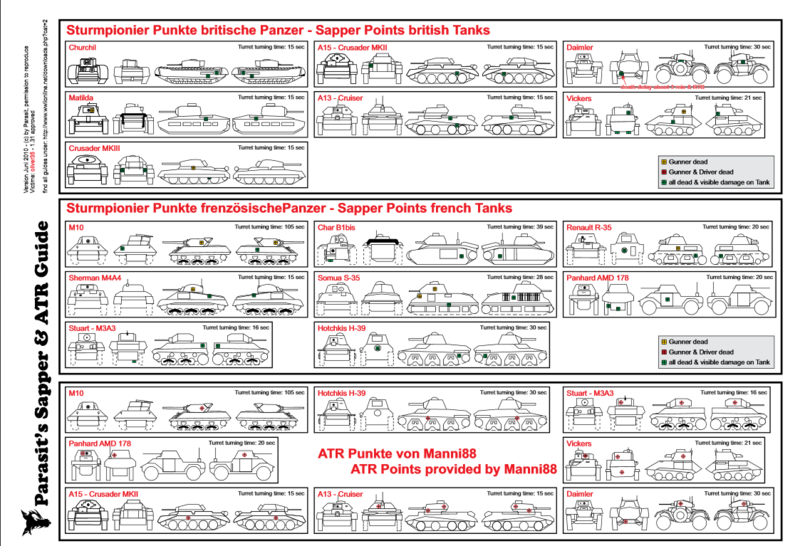 I never got around to learning all of the individual weap spots of each tank and I know there's others like me because people ask where to hit/sap certain tanks on a daily basis... Well I found this that I hope will prove useful for both sides of the fight! Please note: I didn't make these, all credit should go to the original creators, i'm simply trying to bring the info to light and make it more visible to all players. I've been advised that this is totally outdated and useless lol... 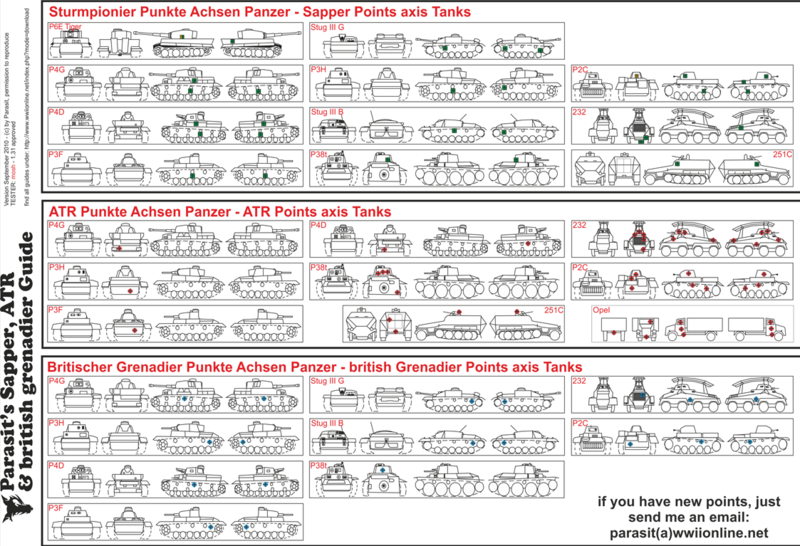 So I now advise you that this is totally outdated and useless, don't use it.